Thank you Lord for this Baptist Bread Devotional! And thank you Pastor/Dr. Steve Harness for these great Godly words of wisdom! 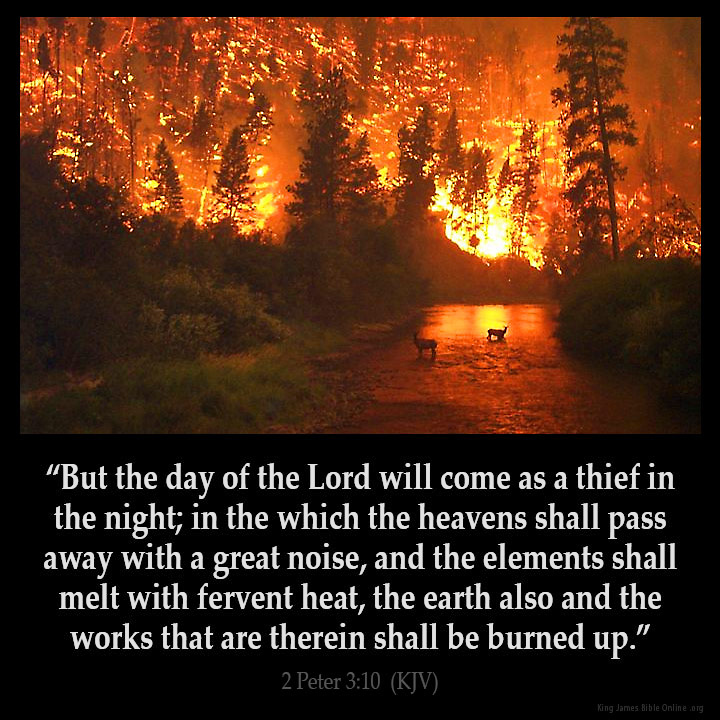 II Peter 3:10 “But the day of the Lord will come as a thief in the night; in the which the heavens shall pass away with a great noise, and the elements shall melt with fervent heat, the earth and the works that are therein shall be burned up. Believers are looking for the return of Christ, the Blessed Hope, for the Rapture, when Christ takes His own out of this Jesus-rejecting world. Once the Rapture takes place, the world will follow antichrist, and the Lord will begin judging the earth in what is called the Tribulation. When God’s plan for the world is complete, the earth will be destroyed. This is what is being referenced in this passage in II Peter. Not too long ago, I was able to visit two volcanoes. What a thrill to see this amazingly powerful natural phenomenon. The destructive force of volcanoes and the lava they spew are incredible. Mount Pinatubo in the Philippines erupted in 1991. The effects are still seen over twenty years later! When the Bible talks about fervent heat and the elements dissolving away, it is speaking of an event more powerful than the eruption of a volcano.